This year's show had 350 exhibitors, over 45 RHS features and gardens and 5 theatres offering a variety of gardening advice, making it the ideal day out for any keen gardener. Being associated with the BBC's Gardeners' World TV show the chances are that you are likely to spot, if not bump into, one of the progamme's many presenters during your visit to the show. 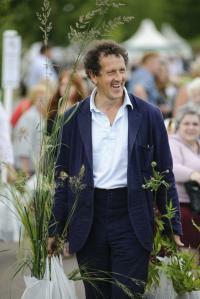 Present at this year's show were a host of gardening experts including Monty Don, Alan Titchmarsh, Carol Klein, Joe Swift and James Alexander Sinclair amongst others. Whan asked what his favourite thing about BBC Gardeners’ World Live was, Alan Titchmarsh responded "Meeting all those folk who watch us on their TV screens – it gives them a chance to get their own back and keep us on our toes. Also, I Iove buying plants!" A major feature of this show that separates it from other similar garden and flower shows is the show's overwhelming desire to educate its visitors. Hosted in the 5 theatres on site you can catch informative live demonstrations, talks and master classes on all aspects of gardening, offering invaluable advice to help you get the best out of your garden at home. In addition to its educational aspects the show also features many of the UK's top nurseries selling their plants in the RHS Floral Marquee, the Grow Your Own Garden, the RHS Show Gardens and the Edible Patches. In the BBC Gardeners' World theatre, you have the chance to catch one of the Gardeners' World team offering insightful advice into all aspects of horticulture and gardening, based on years of first hand experience. Places are always limited for this theatre, so if you want to attend one of the presentations you need to book as early as possible. Rachel De Thame gave an interesting presentation entitled "My Life with the Queen" about her involvement with the Royal Pageant on the River Thames as part of the Diamond Jubilee celebrations and her inspirations for the floral adornment of the Royal Barge. 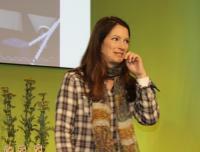 The Grow Your Own Garden is a presentation garden hosted by Gardeners’ Question Time’s Matthew Biggs. This is an interactive garden located outside, with plenty of space, giving you the chance to get tips and advice from the gardening professionals on how to grow your own fruit and veg. The RHS Show Gardens are not as plentiful or generally as impressive as those found in the RHS shows themselves, but are judged to the same high standards. The gardens all have their own unique themes with some interesting and inspiring designs. One interesting category of small garden this year was where each garden designer was given the same materials, space and fixed (quite limited) budget for plants. This created a very level playing field and gave the designers a real challenge to compete against each other on an equal footing. The resulting differing designs were incredibly varied; quite a neat idea. The RHS Floral Marquee is a chance to meet growers from some of the UK's top nurseries and learn their top tips to growing a vast array of plants successfully. The marquee played host to over 100 specialist exhibitors and nurseries and also featured the "Ask The Experts" stage, where specialist gardeners and designers such as Joe Swift and Pippa Greenwood answered visitors' gardening questions. Published on 21 Jun 2012 and Filed under Reviews.